On 13 May, the Summer semester of courses starts at the Exopolitics Institute. Exo102: Citizen diplimacy with extraterrestrial civilizations - The course starts with a 'who is who' and a historical overview of their interactions on Earth. A second part of the course deals with diplomacy and representation (who represents who). The third part focuses on conflict resolution techniques. The final part of the course analyzes (official) responses to citizen diplomacy initiatives. 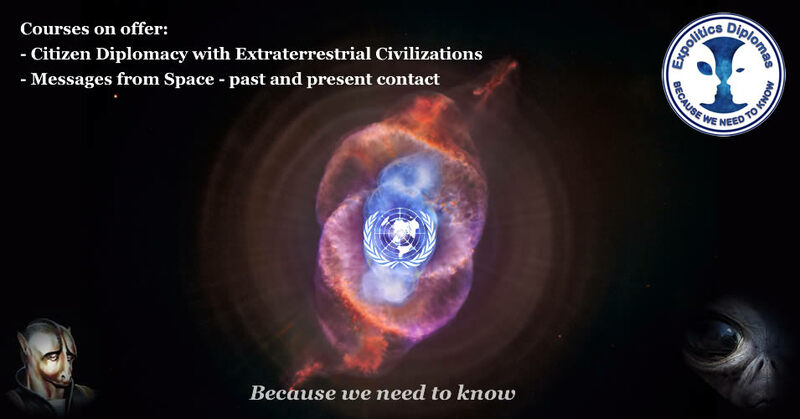 Exo109: Messages from space - past and present contact - This course starts by taking us back to the early days of contact and the messages given to early contactees. Then the course shifts to present day human alien contacts in both Italy and Latin America.